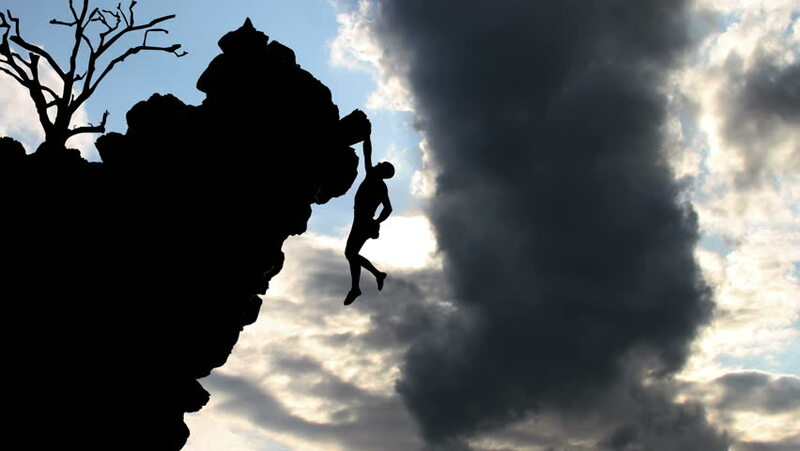 You’ve heard people say that you need to be mean to your characters – you may have heard the recommendation to have your protagonist climb up a tree only to steal their ladder, and then throw rocks at them. This idea of being mean can also be thought about as keeping the flame burning – if you set up a problem for your character, and then resolve it too quickly, then you release all the tension in your chapter (or maybe in your book, depending on what it is). And tension is what keeps us reading. Imagine your main character wants to go to Harvard. It’s all they want. She rushes home and the letter is waiting right on top of the stack. She takes a deep breath, and opens the envelope. She reads it – and she got in. Hooray! But she didn’t worry that long (on the page) so neither did we, as readers. Imagine instead she rushes home. She takes a deep breath. She paws through the mail. The last letter on the bottom of the stack – is her letter from Harvard. She takes a deep breath. Should she open it? It’s not thin, but it’s not fat either. She tosses it into the air, and her beloved dog, a Great Pyrenees, grabs the letter out of the air and races right out the doggy door. She struggles to open the backdoor – where is he? Where is he? She finds him behind a tree, slobbering all over it and chewing on it. She grabs it from him – but tearing it out of his teeth rips off a chunk. She opens it. “We are writing to inform you –“ and that’s the chunk that is missing. She doesn’t know if she got in! Will she call the school? Ask her guidance counselor? How will she find out??? These extra moments of stress and strain amp up the emotion. If you put your character on the hook, and then immediately take them off the hook, you lose all these opportunities to keep your reader furiously engaged to find out oh my goodness what is going to happen next? You can keep tension both by lengthening the amount of time it takes for resolution (in this instance, I added in a dog and ripped letter) or by putting the resolution of one chapter into the next chapter. My father used to read me Tros of Samothrace by Talbot Mundy as a child – and I don’t know if the chapter always ended with Tros hanging off a cliff or if my father, with his understanding of story, would just stop reading at that moment. But I do know that I couldn’t wait for the next night when we’d pick up where we left off and find out what happened. Give those moments of wonder and breathless anticipation to your reader – by using the content within your chapters and in your chapter breaks. I’m a huge fan of any kind of professional development, and now that I’m focused on writing, I love finding all different kinds of ways to help expand my craft. I find real pleasure in looking through course catalogues (in particular the one for Lighthouse Writer’s Workshop for those in the Denver area) to see what class sounds like it will be just the right key to unlock some question I have. I can’t wait for the conference schedule to come out each year for the SCBWI Letters & Lines conference. I browse the 800 section in my local library. I listen to a slew of podcasts. I love learning and hearing and thinking about writing. Whenever I walk into some type of professional development, and that classification can be broad, I try to consider them along two layers – the understood benefit and the underlying nugget of gold. 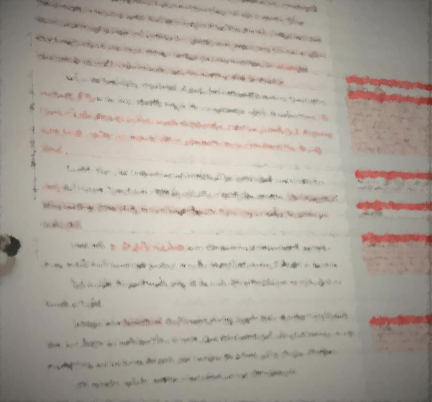 Everything has an immediate impact– I took a class on book mapping to bring another level and nuance to my ability to edit full-length novels. 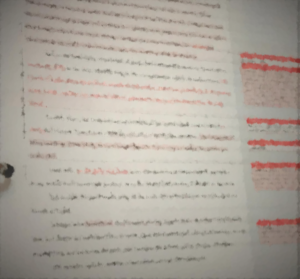 I learned just what I thought I would – how to choose the elements to map out a book, mapping it out, and subsequently using that map to develop an editorial letter. It was a great online class that gave me a new tool that is aligned really well to my analytical left-brained side that is a part of my revision and editorial process. But a class almost always has more to offer than what is listed in the course description. This second layer is the underlying nugget of gold. Some of the gold from this class was that I am now connected to an experienced children’s book editor, and it got me thinking about how I might expand some of my own editorial services. The nugget of gold can be obvious, or subtle, singular, or numerous. I received a critique where one of the comments was that my protagonist was coming off as a little quiet. A few days later someone called to ask if I was interested in a class on voice. Yes! Yes, absolutely! So the immediate benefit I expected from that class was obvious. But the class was also full of nuggets of gold. It got me thinking about my writing practice, and how I was incorporating it into my daily life. In hearing others read their work in class, I learned from what they were doing. And, the best nugget of all, I got a burst of motivation to continue on my own draft. Not every class, or course, or podcast, or book feels worth the time or expense. Sometimes it repeats information you already have, sometimes it isn’t as applicable as you thought it would be. These are the times when it’s especially critical to pan for that gold. If you take the ownership to search deeply for the underlying value, not matter how big or how small, then it will increase the benefits of every way in which you engage with your craft. It will ensure that you have spent your precious time wisely.